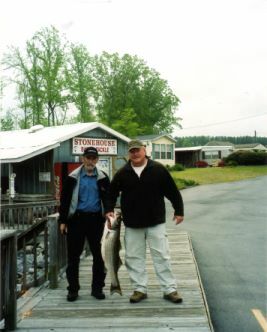 If fishing is what your trip to Lake Gaston is all about, Stonehouse Timber Lodge can fix you right up! Lake Gaston has plenty of lunkers waiting for you to drag 'em into the boat. 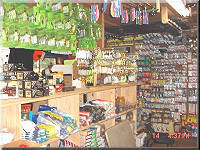 Our Bait & Tackle Shop has everything you need to get out there amongst 'em. It makes no difference whether you've never been fishing or you are a seasoned veteran. Stonehouse Bait & Tackle Shop has the equipment you need to bring back a trophy. Our stock does not come from some catalog order form. Professional fishermen tell us what works on Lake Gaston and that is what we stock. Of course, there is always live bait and some serious catfish bait, too. You don't need to run around looking for the right fishing gear. We can outfit you with the stuff that works here, on Lake Gaston. Go on! Catch yourself a mess of fish!